The Cumberland Mountain Lodge and its grounds provide an enchanting site for intimate gatherings such as weddings, family reunions, business retreats, musical performances and a variety of party events. Private, beautiful and memorable. Food can be catered by Doug Scarlett, former chef of Air Force One. 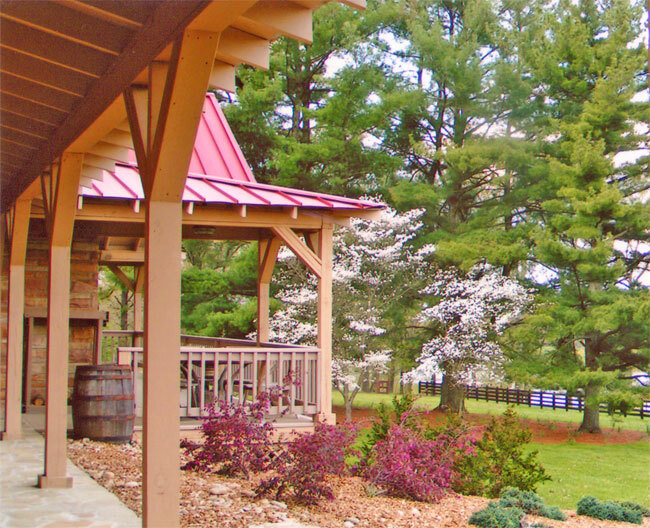 Gatherings can usually be held outside except for the mid-winter months. A wedding on the lawn surrounded by horses in the nearby pastures and the mountains in the background is unforgettable. 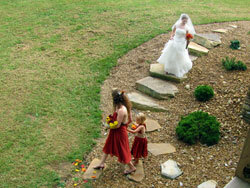 The Lodge staff can assist your wedding coordinator with arrangements. Ask about special requests. See details and rates below. 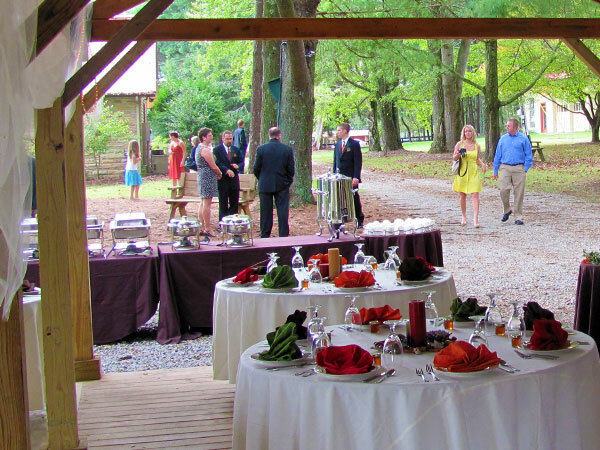 Reunions, Parties, Weddings, Receptions, etc. 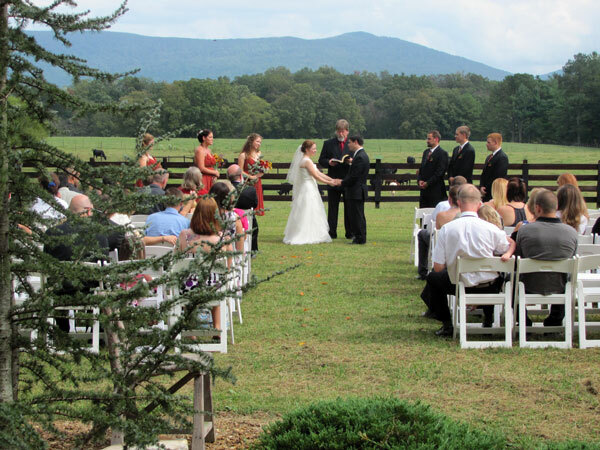 The Cumberland Mountain Lodge comfortably accommodates up to 150 people at parties, receptions, weddings or other functions. 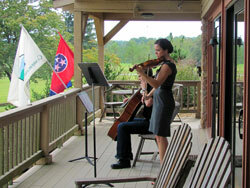 Cumberland Mountain Lodge provides a beautiful site for gatherings, and does have a relationship with a local caterer. However, most of the arrangements for the function (tents, tables, flowers, beverages, music, etc.) need to be arranged with an outside vendor such as a party or wedding coordinator. Events Pavilion can be used for multiple purposes. 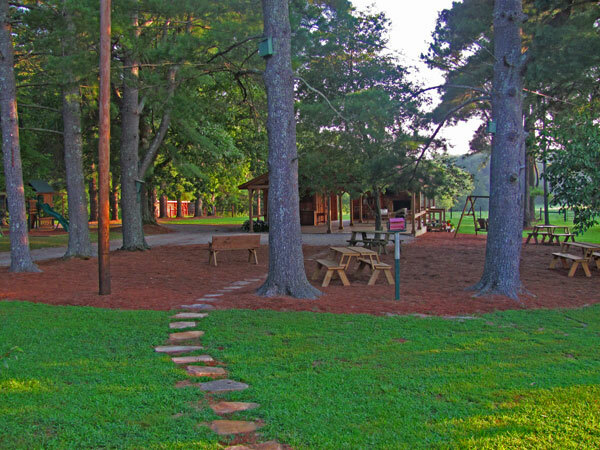 Valet Parking is needed because there is limited parking adjacent to the Lodge. Parking is provided in a designated area where vehicles are away from the related function. $10 per invited guest, $750 minimum. Management of tables, flowers, tents, etc. arranged through outside consultant or vendor. Basic cost: $10 per invited guest, $750 minimum. 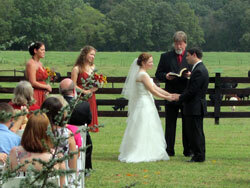 Same provisions as above but some of the wedding party stay in the lodge or the couple spends first night in the lodge. There are three bedrooms available. Best Wedding Sites: The best online guide for wedding and honeymoon planning, accessories, favors, gift registries, invitations, shopping, local vendors and more. Onewed.com - Wedding planning guide. Find local wedding photographers, wedding dresses, and so much more! 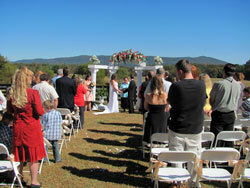 SuperWeddings.com - Wedding planning Ideas, Ideas, Ideas!!! Free! Creative, unique and inspiring wedding ideas, including wedding decorating ideas & photos, craft projects, ideas for a more personalized & meaningful wedding, plus expert planning tips, money saving secrets, wedding career info + more!